Alaska Milk Corporation again proved that when it comes to brand advocacy and program excellence, they are among the best in the world! Testament to this is the international recognition of excellence which their “Nutrition. Action. Champion” program received just recently. Read on the below press release to know more about this story. 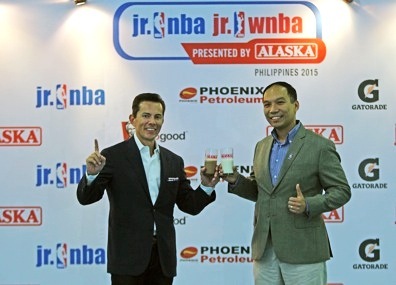 Meanwhile, big Congratulations to Alaska Milk Corporation for this well-deserved recognition! The Nutrition. Action. Champion. team! 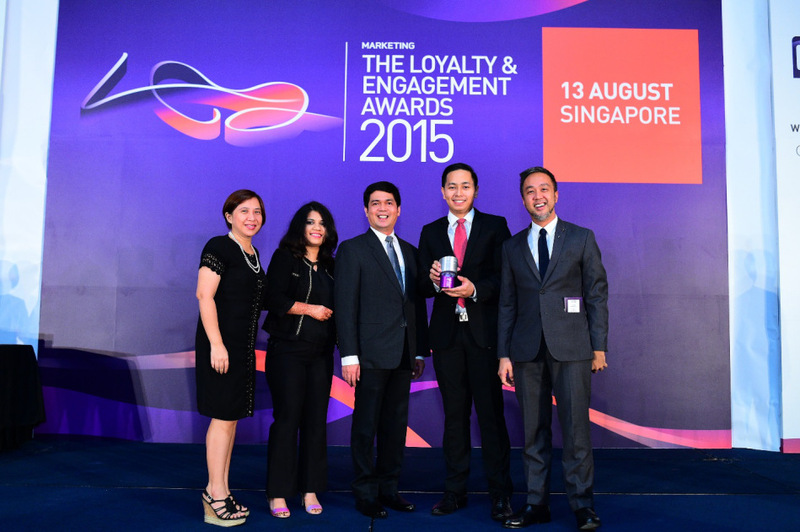 Nazia Hayat of Lenovo Singapore (2nd from left) awarded the silver trophy to the Nutrition. Action. Champion. team. From left: Fen Marquez of M2M Advertising Phils., Robbie Aligada of TBWA\SMP, RG Gabunada of Alaska Milk Corporation, and Alan Fontanilla of OPEN and PARTNERS. It’s Jr. NBA/WNBA Season once again! Now on it’s 8th consecutive year, the Jr. NBA and Jr. WNBA Presented by Alaska was officially opened by a press conference and the coaches’ tip-off last January 24 at the British School Manila. This means many young Filipino boys and girls are set to receive awesome basketball training and tips from qualified basketball coaches and most of all learn invaluable lessons on Sportsmanship, Teamwork, (positive) Attitude and Respect, which they aptly termed as the S.T.A.R. Values. More updates regarding the Jr. NBA/WNBA activities and schedule will be posted in this blog shortly. Meanwhile, here is the official photo release from the recently-held event. 2nd Alaska World Milk Day: Bigger, Better and Healthier! Last June 1, Alaska celebrated World Milk Day for the second time. Spearheaded by the Philippines’ leading milk company Alaska Milk Corporation, the celebration was bigger and better than the fete last year, which gathered more than 3,500 participants in its fun run and raised the same number of milk products for the feeding program of Children’s Hour and its partner organizations. This year, Alaska World Milk Day has gone nationwide with a simultaneous milk-drinking activity in Baguio, Cebu, Davao and Metro Manila at 7:30 AM; there were more than 500 participants in Baguio, 220 participants in Cebu and 420 participants in Davao. Simultaneous fitness classes in the three provinces were also held to encourage individuals and families to start an early morning health and fitness regimen: Zumba + power breakfast of Alaska powdered milk paired with champorado drizzled with Alaska Evaporated Milk, pandesal filled with Alaska Condensed milk, and cereals with Alaska Fresh Milk. The power breakfast was given away for free to participants at the event area as part of the “Alaska Gatas for Breakfast” campaign, which was held for the very first time this year. The campaign aims to get everyone to start their day right with a nutritious breakfast. This effort to foster a healthy consciousness among individuals and families—through the combination of exercise and proper nutrition—is Alaska’s way in helping the government fight against the increasing number of obese children and adults in the country. According to the Department of Health (DOH) and the Department of Science and Technology—Food and Nutrition Research Institute (DOST-FNRI), obesity is one of the most prevalent nutritional problems of Filipino children and adults. At least 16 million Filipinos 20 years old and above, and two out of 10 children are overweight. In Manila, the same Alaska power breakfast was given to the participants of the Alaska Family charity run for the benefit of Children’s HourAimed at getting today’s children and their parents to get off their couch, leave their gadgets for the day and have some healthy bonding time, the Alaska Family Run was held at the Bonifacio Global City. For every participant, Alaska donated milk products to the organization for its feeding program. The Alaska World Milk Day celebration is part of Alaska’s continuing advocacy toward health and nutrition, particularly its Nutrition. Action. Champion campaign. For more information, log on to www.alaskaworldmilkday.com, like www.facebook.com/WorldMilkDayPH or follow us on Twitter @ALASKAsportshub. Members of the team are professional athletes Pete Jacobs from Australia who is the 2012 Ironman World Champion and Caroline Steffen from Switzerland who is an ITU World Long Distance Champion and multiple Ironman champion. The Filipino Elite composed of Banjo Norte, Jenny Rose Guerrero, Jonard Saim and Juan Carlos Abad will be under Coach Mathieu O’Halloran’s guidance in training to become a world-class team that can represent the country in triathlon races worldwide. The elite team is mainly composed of Filipino athletes because Alaska Milk Corp. wanted to focus on developing and nurturing grassroots talents.